Simon Says Stamp and Show: Challenge: No Rules! When it comes to crafting I have one rule: have fun. So it seems fitting that this is a “no rules” week here on the challenge blog. If you’re a regular here, then you know what the drill is this week: anything goes. What does that mean? You’re welcome to create any craft project you like - in any style, medium, or color and with any products or techniques. You’re welcome to get inspiration from a favorite crafter, make something that you’ve been meaning to do for a while, or just make some happy creative play time. 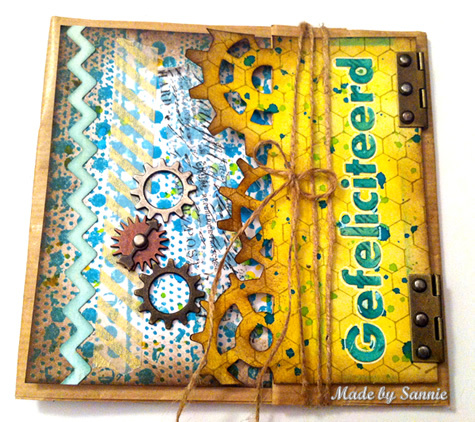 Sandra Mouwen likes to mix things up and get funky, and she really shows that off here on this folded card. When I saw this lunchbag in a corner of my craftroom, I immediately knew that I wanted to make it into a folded card. I was in the mood for some funk, and as it's a birthday card for a male colleague of mine, I really wanted to give a masculine edge to it. I challenged myself to use funky bright colors like Peacock Feathers, Mustard Seed, Tumbled Glass, Crushed Olive Distress ink and stamped the background with the Mixed Media Stamp set of Tim Holtz. Now I had to achieve the steampunk feel, so I used some spocket gears with a game spinner and the Steampunk on the edge die. 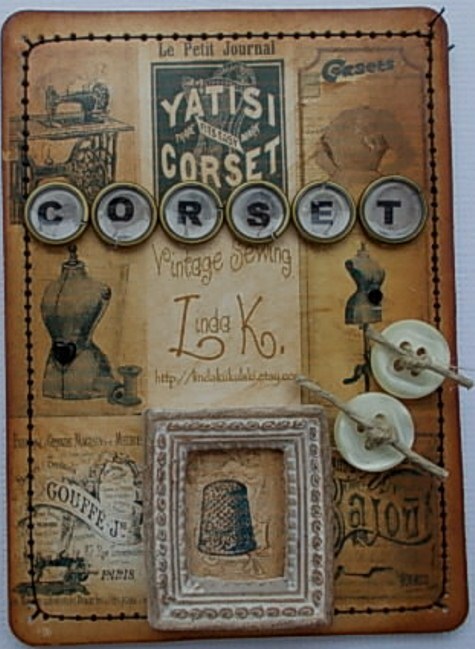 Tracy Evans created 3 vintage ATC's this week cut using the ATC & Corners die from Manila Card stock and decorated with vintage corset images, ageing with vintage photo Distress Ink. This was one of my favourites as I love the vintage images and the fabulous dimension. I loved adding into the mix vintage Lace Trim and buttons to add to the vintage feel along with letters added to Jump Rings for added interest. 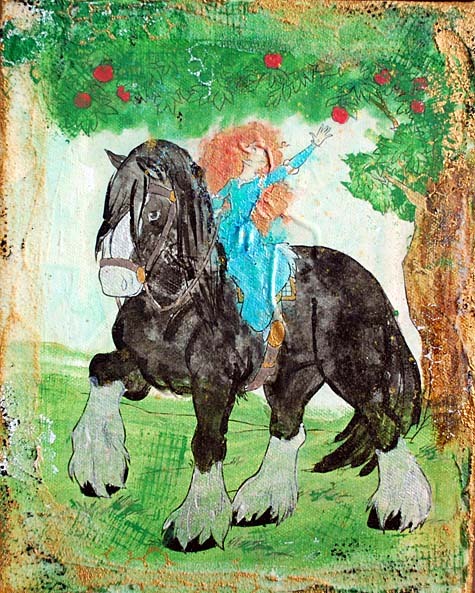 I love creating ATC's they are wonderful small pieces of art but can add a BIG impact. Anna-Karin created a little bag holding a tag, embellished with rolled paper roses, die-cuts and stamping. When doing cards or tags with bulky elements, I often wonder how to present them to the receiver, since they don’t fit into ordinary envelopes. Looking at the In The Bag die, I realized that the little bag would be a fun way of handing over a bulky tag. 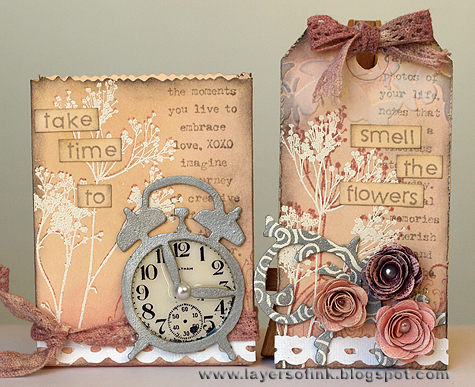 The bag and tag were die-cut from manila cardstock, inked and stamped with flower, text and flourish stamps. A bit of dry embossing, grungeboard die-cuts painted silver and one of my favorite sentiments finished off the project. Sarah Engels-Greer created a summer sanctuary for her flowers, whimsical house and butterflies. Anything goes was my chance to have an Arts Parts Party and dive into my Wendy Vecchi goodies. I love to lay all the Art Parts out in front of me and let the different shapes inspire my piece... I love thinking, designing and creating in three dimensions. I used two Artful Shrine Frames along with a fabulous combination of Distress Stains and Dylusions Sprays to create a house full of summer colour! Suzz created a set of vintage place card holders for a family gathering. I decided to create a unique place card holder for each guest using a set of wooden spoons that I have been hoarding. To color the spoons I immediately thought of using the Ranger Distress Stains. The stains work perfectly on the wood surface to create an even coat of color. To soften the effect of the colors I followed up with a smudge of Ranger Adirondack Paint Dabber - Snow Cap. I selected images from the various Artistic Outpost plates: Kudzu Kafe, Paris Exposition and Bluebird and decorated them to fit my guest's personality. The Memo Pins Split Ring work as the perfect clip to hold my name tags. Candy Colwell created a vintage album full of pockets, pullouts, inserts and flipouts. This album will proudly be home to my grand children's school photographs and memorabilia. 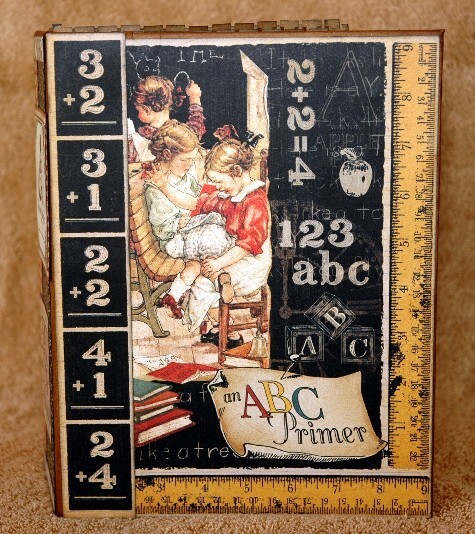 The basic album was created from Kraft Cardstock and then covered with those fabulous Graphic 45 ABC Primer papers. All gluing was done with 1/4" Scor Tape and distressing courtesy of Gathered Twig and Black Soot Distress Inks. Give Ashli Oliver no rules and she runs wild! Instead of choosing a layout or a tag, she's combining the two. I love thinking outside of the box when I scrapbook and since I had no rules this week, I did just that! First, I stamped the Ranger Craft Tags with white acrylic paint using the Hero Arts Chevron Stamp. This is super fun as the paint acts as a resist when mists are layered over it. I spritzed and sprayed a bit of Distress, Maya Mist and Mister Huey's and wiped away the excess with a baby wipe. I love the ocean-like effect this gives to play off of the photo of my girls drawing in the sand. Dan had the marathon task of creating 28 separate panels for his piece this week. 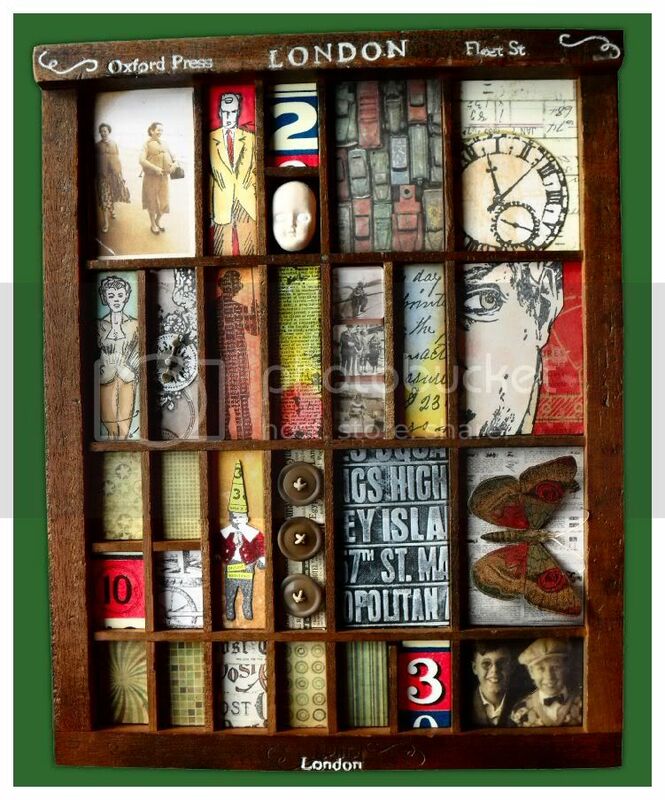 I was lucky enough to be given this vintage printer's tray as a gift, but a similar effect can be achieved with the Tim Holtz printer's tray. This was a much bigger job than I realised when I started it, it took medicinal doses of chocolate to get me through to the end! I got a chance to use Tim's Subway embossing folder for the first time, sponging it with Claudine's white paint to highlight the text. In addition to the stamped panels I used sections from the Lost and Found, Destinations, Retro Grunge and Kraft Resist paper stacks. All I need to do now is collapse in front of the tv. Terry created a baby book to go with the baby card that she already made for her fellow design team member Sarah. I wanted to make something special for Sarah so I had to wait until she gave birth to her baby. Now that I know that she has a beautiful baby girl; I altered a notebook and made a girly baby book. I used the Graphic45 Little Darlings paper to decorate the book because the papers tell me how wonderful new life is I just love them. To give it even more a vintage feeling I distressed the edges with Vintage Photo, and I used Tim Holtz Chit Chat Stickers on the cover as well. I could not resist using some crackle accents. I placed some on the 'mother' and at the bottom of the book, so this way you can see how fragile everything around us is and that you should treasure the little ones. Finally, it is my turn to share. I (May Flaum) was absolutely giddy to have this no rules week to run wild. So, stepping a bit outside my usual creative zone I've created a canvas using a piece of coloring book paper. I've been wishing there was some way to do some kind of Disney inspired home decor project on my own with my craft stash. So I got that coloring book out and selected my image and got to work! I did an image transfer technique with Claduine Hellmuth multi medium in matte onto a canvas. Once that was set and the paper removed I ran completely wild with paints, brushes, stains, and so much more. I had an absolute blast - and I will definitely be doing more of these in the future. I have a video how-to of my technique up on my blog, and in fact I recommend you make sure to check out each of our design team member's blogs to see more photos, supply lists, and details about their projects this week. Simply click on their name (above the photo of their project) to visit their blog. I do so love reading their blogs each week - so much inspiration. Now that we've shared their creations - we're ready to see yours! 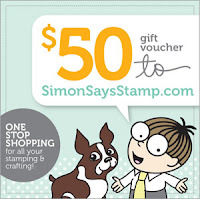 Simon Says Stamp is once again giving away a $50 gift voucher that will go to a random entry chosen by Random Generator. The challenge will close at Midnight Eastern time on Sunday, July 22 and the winner will be announced during the following week. To qualify all you need to do is create a project that ties in with our theme and post it to your blog, then add a link here. For the full rules, read the "challenge rules" posted in the side-bar here on our blog. We can't wait to see what you make! Love All The Wonderful Inspiration DT. Always My Favorite Challenge. Always great DT samples! Thank you for the "no rules" challenge! Awesome inspiration. I really want to try some of the listed techniques above. 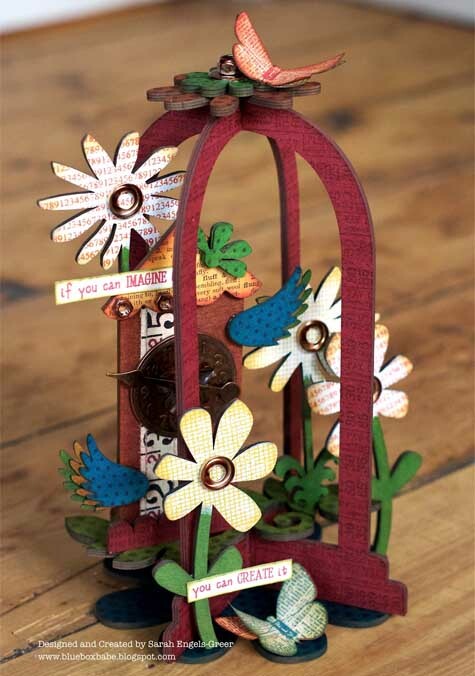 Fantastic mixed media and altered items design team! Wow! Wonderful Inspiration from the team...especially like the Beach Art layout. so beautiful! Ladies: you are all amazing!! Your creations are gorgeous and source of great inspiration. Amazing projects ladies. I just found this blog and I really like what I'm seeing. Wow, Super, super, super eye candy from the DT's. Thanks for another great challenge. LOVE the NO rules challenge!!! Thanks! Terrific inspiration, thanks for the challenge. I love them all, Anna-Karin bag and tag are a beautiful colours and Suzz you've inspired me to some wooden spoons. Great projects froms the DT! Wonderful creations from the DT! Thanks for the chance to play along! Thanks for a 'NO RULE' challenge. Great projects DT, love the inspiration! A wonderful varied and original collection! Beautiful, stunning, gorgeous, inspiring projects.... Fabulous! Cheers to your DT! No Rules rules! Amazing work from the DT... I've made it round to most of them, and look forward to the rest. Thank you for the challenge and for the inspiration. Wow! There are so many wonderful design team members' examples and participants' entries. I want to thank all the design team members that left such encouraging comments on my blog last week. Fabulous DT pieces here. Couldn't resist entering for a chance to win some new goodies! Thanks a lot for this funny challenge ! Nice to you, I can't resist to participate again hi hi!